One of the aggravations all gardeners have are all the weed seeds that sprout up all over the garden and yard. While you could certainly use a number of weed killers to fight them after they sprout, a better and more organic way is to keep them from sprouting in the first place. 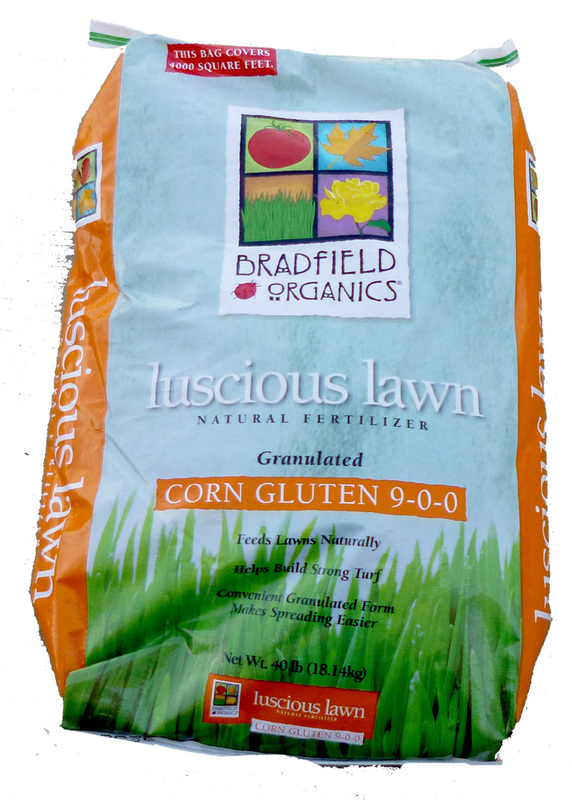 I have used corn gluten meal in the past and it does seem to prevent seeds from sprouting. The other advantage of corn gluten meal is that it is high in nitrogen – about ten percent. I’ve found the product locally at OK Hatchery in Kirkwood Missouri. Forty pounds is $40. While the big box stores also carry this product it is much more expensive. Note – while listening to Mike Miller – a St. Louis gardening expert, he recommends putting out pre-emergent weed preventer twice during the year – once during early spring and once in mid-August. If you’d like to learn more about the benefits of corn gluten meal, check out the link below from Iowa State University. If it does not rain in 5 days of application, water it in with approximately .25 inches of water. Then leave a drying period after germination. The material is generally about 10% nitrogen by weight. One hundred pounds has 10 lbs of nitrogen. The nitrogen will release slowly over a 3 to 4 month period after application. Corn gluten meal will not provide as complete control as synthetics and is likely to cost more. But, it does provide a natural substitute for those who choose not to use synthetic herbicides for pre-emergence weed control. Every year I dig out at least ten bush honeysuckle seedlings that the birds or wind have dropped into my garden. If you have a larger infestation with bigger plants there are a couple of options which I have researched. MDC recommends a 20% solution of Roundup. Doug D, an arborist, recommends a 50% solution of Roundup and water. He uses an old fashioned oil can to put roundup on the stump that you cut. 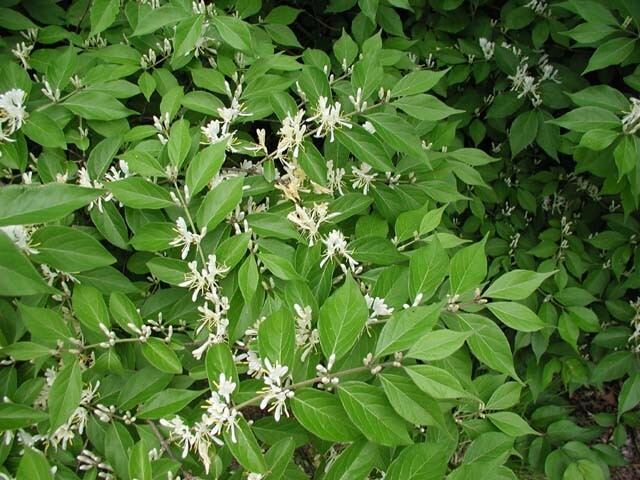 Curse of the Bush Honeysuckles is a good PDF article. 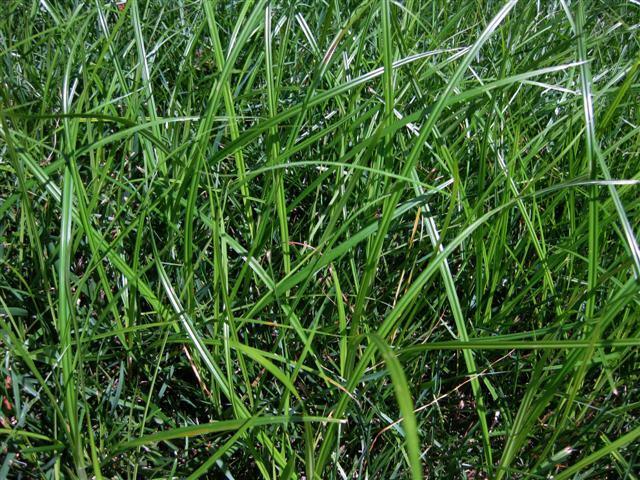 It recommends, “Application should occur in late summer, early fall or the dormant season. Spring applications are less effective on stumps because resources are flowing to new buds instead of the roots. I have found that the same chemical can be found in Ortho Brush-b-gon Poison Ivy Poison Oak, & Brush Killer. I hope this helps you with your battle with bush honeysuckle. 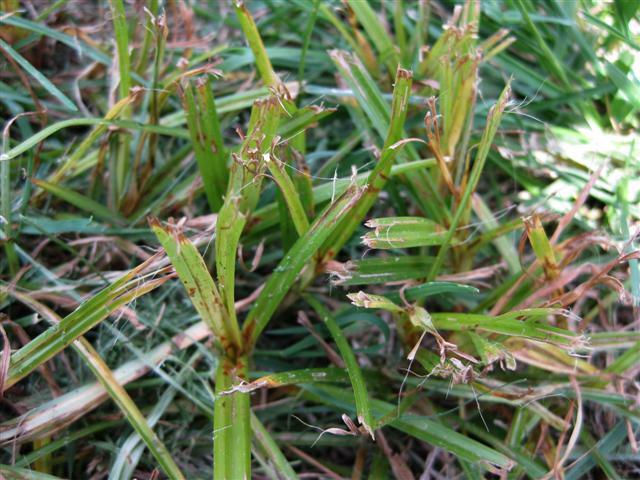 Nut grass in the garden or yard is a pain. You pull it out and it comes back. Most ordinary weed killers don’t work. So what do you do? 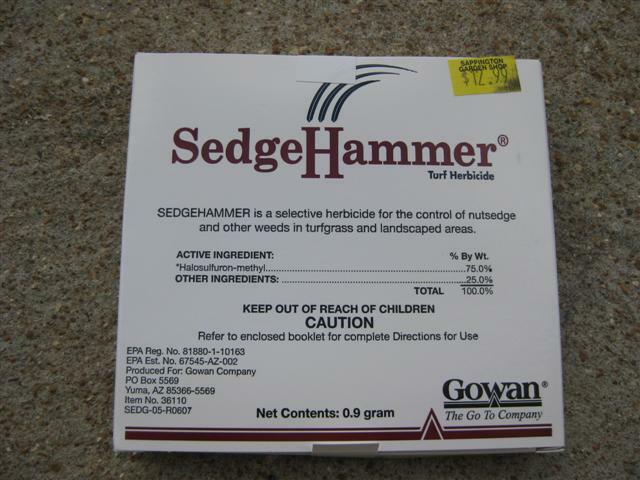 I’ve found a product called “Sedge Hammer” which really does work. It’s not cheap, but it’s better than spending hours in the garden trying to dig it out.